You deserve to be recognised. The best way to predict the future is to create it. 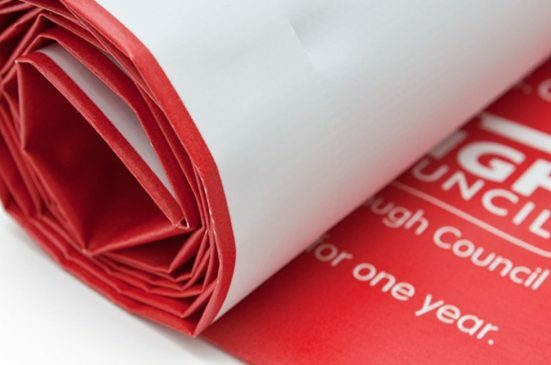 We supply the largest range of printed marketing materials to accommodate all messages, big or small. Engage with your audience and further expand branding awareness with our range of Banners, Brochures, Flyers & more. Our pull-up banners are a great for any sort of event. With high print quality and amazing durability, you will not be disappointed in this product. These banners are retractable for convenient transportation and can be easily pulled up to make an eye-catching statement at your business event, party, or storefront. Informational booklets are a great way to inform potential clients and customers on what you are really about. Choose between our variety of book options—saddle stitched, wire bound, perfect bound, or hard case—to make the statement you are looking for. Brochures are a great way to present your product or service. They’re great for sharing information and advertising your business or service. They look professional and have plenty of space to fill with information about what your business has to offer. With a combination of fold options and finishes such as concertina or z fold, roll fold or crash fold. Fold your product down to a convenient hand-held size. Choose between glossy or matte finishes depending on what look you’re going for. Flyers are an awesome way to get your business, product, or service noticed. They can be used as handouts or set on a front desk to be noticed and grabbed by a passerby. Flyers are perfect for a letterbox drop, conference marketing material, or to distribute an offer to your clients. For an added finishing touch, why not add perforation for a tear away. Whatever your need may be, our variety of different-sized flyers will do the trick. Create your own design or use a standard template as a jumping-off point to make your one-of-a-kind flyer. Add a die-cut option for an interesting shape. 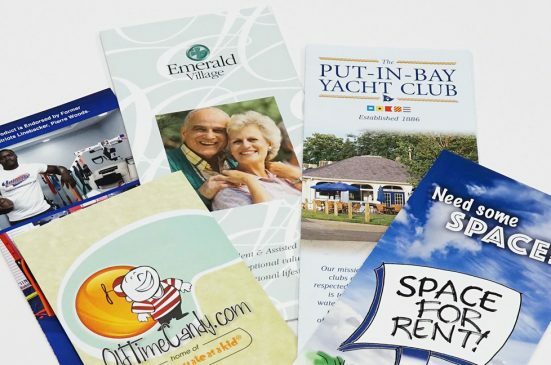 Whether you’re using postcards as advertisement handouts, invitations, event announcements, mailout, art cards, or for a promotional giveaway, they are a great tool. We supply a couple of different sizes so you can choose which one fits your needs best. Create your own design or enlist the help of our Creative team to create your perfect postcard. If you’re within the hospitality industry, then you know your menu is the first impression of your business. With a range of pristine finishes and presentation methods along with our creative design service, we can help modernise your business image if you’re looking to upgrade.